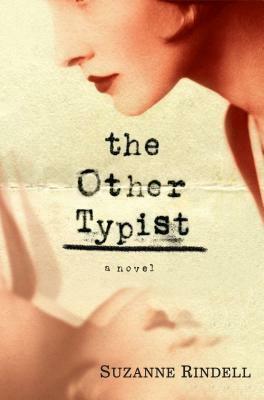 The Other Typist is a wonderful entertainment, a real page-turner, set in 1920s New York, in the age of prohibition. Rose Baker tells the story. She was raised in a convent and had to make her own way in the world. She worked for the police, as stenographer and typist; she rented a room in a boarding house; and she took a great pride in her moral code and her emotional control. She was living, but she didn’t really have a life. Everything changed when a new typist was hired. Odalie was charismatic, fashionable, modern, and the whole department was quickly won over by her. Rose’s feelings towards Odalie were complex: a horribly recognisable mixture of fascination and jealousy. She wanted to be friends, to have everything that she knew would come to her as a friend of Odalie, but she wouldn’t make the approach, she wanted Odalie to come to her. And, in time, Odalie did. It wouldn’t be fair to say more, but this book had me asking questions from the first page to the last, and I just had to keep turning the pages. I really wasn’t sure if Odalie was playing Rose, or if Rose was playing Odalie. Certainly Rose was an unreliable narrator, but whether she was a foolish woman whose head was easily turned or a dishonest woman out for whatever she could get I really couldn’t work out. There were so many reasons to keep turning the pages: a wonderful evocation of the time and place, a wealth of period details, intriguing characters, and a very cleverly constructed plot that dangled intriguing possibilities if front of me and kept me asking questions. It worked because, though the story was colourful, it was psychologically true, the characters and their actions were utterly believable. And it worked because I realised from the start that Rose was telling her story after something momentous, something else that had change her life happened. Something momentous did happen – the ending was stunning. I read it, I read it again, and then I had to rethink everything that I’d read before. That’s very clever, and very readable, writing! Thank you Love Reading, for my copy of The Last Typist. Ooh, I love that time period. I need to check this book out! You do! The period colour is wonderful and this is a story that really relates to the period and wouldn’t work in any other setting. I’ve been seeing this one around and wondered about it. Your review was lovely and has me wanting to grab a copy! Do grab a copy Staci, you will love it. I just added myself to the long library queue – #51 (and four copies available). But your review makes it seem very much worth the wait! Goodness, this book clearly has a big buzz to have such a queue waiting already. that’s no bad thing because it is mainstream, accessible fiction done very well. So many positive reviews of this book lately… think I’ll need to add myself to the library queue, too! Sounds really good Jane 🙂 I may have to look out for this – though I am seriously trying not to buy any more books untill the summer holidays. I’m not buying new books – but I was offered this one and I couldn’t resist. 1920s America always makes for an interesting backdrop. I will look out for this. I am much intrigued by the ending now! The setting is very well done, and you will like this one Jo.